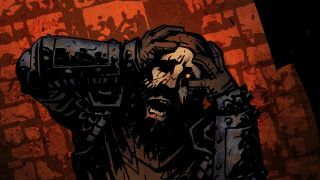 Darkest Dungeon is known among PC gamers for being brutally difficult; a dungeon-crawler that mixes in elements of the roguelike genre with RPG-style party management and Lovecraftian horror. And soon, that reputation will spread to consoles. Developer Red Hook Studios announced today on the PlayStation Blog that the game will arrive on PS4 and Vita on September 27. The PC version has been out of early access since January, and updates made since then will be included on console. That means 15 hero classes and more than 40 town events, if you're keeping track. The game will also support Cross-Buy, so you can buy it once on either system and have access to the other version at no charge. Speaking of charge, Red Hook is planning on a $24.99 price tag "or the local equivalent." If you need to get yourself in the mood, just remember the timeless quote: that is not dead which can eternal lie, and with strange aeons even Darkest Dungeon may come to PlayStation. Or something like that.